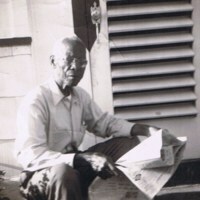 Herbert Alexander Wells (1882-1960), the first African American hired by the Florida East Coast Railway Company (FEC), in front his home in the Liberty City neighborhood of Miami, Florida. 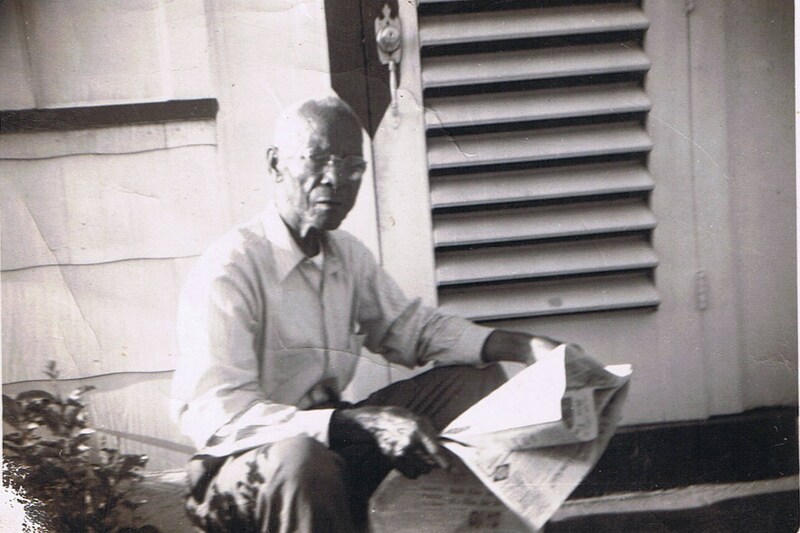 Born in the Bahamas in 1882, Wells migrated to Key West, Florida, via the Fearless in 1900 and began working for the FEC as a fireman around 1915. He worked for the FEC for 32 years before retiring in 1947. Wells also owned and operated a drug and grocery store that was located at Northwest 2nd Court and 17th Street in Miami. Wells married Mary Ellen Knowles Wells (1892-1948) in 1916 and had one daughter, Berdina Wells (b. 1930). This item was contributed by Cary Marshall Felton, the great grandson of Wells. Digital reproduction of original black and white photograph by Carletha Wells Felton, 1959: Private Collection of Cary Marshall Felton. Miami Collection, Miami-Dade County Collection, RICHES of Central Florida. Originally created by Carletha Wells Felton. Copyright to this resource is held by Cary Marshall Felton and is provided here by RICHES of Central Florida for educational purposes only. "Herbert Wells Dies In Sleep." RICHES of Central Florida. https://richesmi.cah.ucf.edu/omeka/items/show/7420. "Declaration of Intention for Herbert Alexander Wells." RICHES of Central Florida. https://richesmi.cah.ucf.edu/omeka/items/show/7423. “Herbert Alexander Wells.” RICHES of Central Florida accessed April 19, 2019, https://richesmi.cah.ucf.edu/omeka/items/show/7421.